How do I fit out a kitchen? Elleci International > Company > Blogs > Blogs > How do I fit out a kitchen? The kitchen is the place where the family comes together every day. Creating a welcoming, serene, practical and functional space is essential for finding harmony and enjoyment in how we use this part of our home. For this reason, we’ve provided some simple ideas that you can use to create your perfect kitchen. The first step in creating your ideal kitchen is to understand which style you want to choose, one you will see every day, when you wake up in the morning and when you come home from work. This environment often reflects our personality and therefore our taste and marries this with two very important requirements: functionality and practicality. Let’s have a look at three styles that can be applied: classic, design and modern. For those with a taste for the classic, a kitchen can only have a classic aesthetic. This type of kitchen has a timeless style, which even the passage of years cannot diminish. Linear kitchen. This is the type of kitchen most suitable for small spaces, but can also fit larger ones. Kitchen with island. Works especially well if the kitchen opens onto the living area. L-shaped kitchen. Suitable for both large and small environments. U-shaped kitchen. Suitable for both large and small environments. Which fittings are essential for the kitchen? Fridge: preferably high-tech and with a high energy-saving rating, with a size that depends on your specific needs. Oven: a classic with static and fan-assisted options. Essential for any person. Microwave: oven with various options to optimise time in the kitchen, especially if you spend little time at home. Dishwasher: with washing and drying options for clean dishes every time. Cooktop: a five burner could be the right middle ground in a 75 cm space, or if you prefer functionality, you can also consider an induction cooktop. 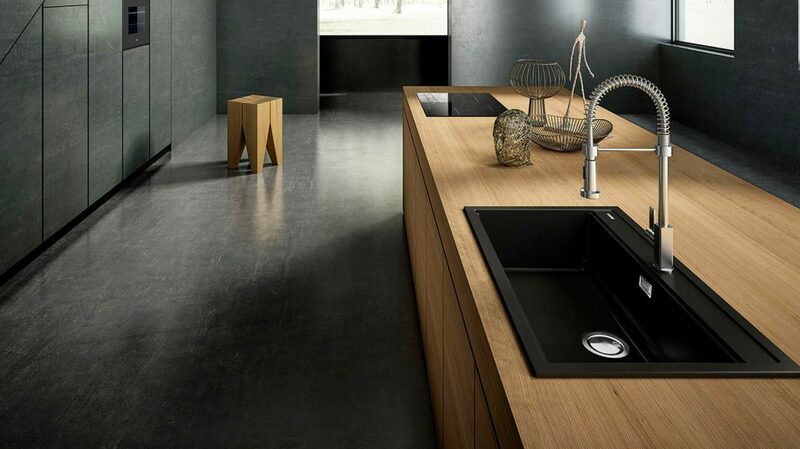 Sink: now considered a design element of your kitchen, you can choose the colour you love that best matches your space. How can I optimise space in the kitchen? If you don’t have much room to build a kitchen, don’t worry! If you follow these tips and guidelines, you can have a small but practical and functional dream kitchen.